The Unlikely Pilgrimage of Harold Fry has had a lot of buzz this summer and fall. When Harold Fry, recently retired from a career in a brewery on England's south coast, learns that his former colleague, Queenie Hennessy, is dying of cancer in a hospice in the far north of England, he writes her a letter and walks to the mailbox to send it. But he doesn't mail the letter; he keeps walking. For 500 miles and 97 days. The book explores both the journey and the events in Harold's life that have led to his quiet war with his wife, as well as their attempts at reconciliation. I enjoyed the book, but I couldn't help but compare it with The Memory of Running by Ron McLarty, which also deals with an epic journey, a physical transformation, and repairing past sins, but in a more thorough and engaging way. 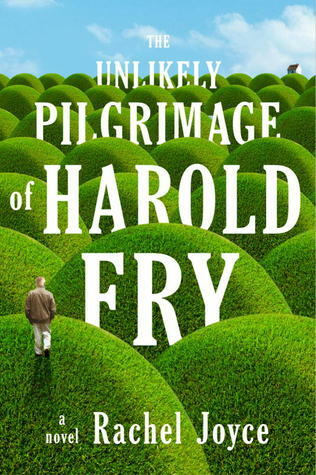 Still, I think that The Unlikely Pilgrimage of Harold Fry would be a fantastic great book group read-- it's relatively short, devoid of anything too offensive, and there would be plenty of material for good discussion. This is another book that sat at the bottom of my Audible pile for a long time, and while I know why it took me a long time to get to it (I'm generally not a fan of fantasy/sci fi, my mom started it and said it was nasty, and it's super long), it was like a great big, super tasty, greasy bacon cheeseburger. A book that was a delight to greedily plow through, but one that left me feeling a little bit guilty afterwards. Shadow is nearing his final days in prison when he learns that he's going to be released early because his wife was killed in a car accident. On the way home for her funeral, he meets a mysterious man called Wednesday. At first, Shadow is repulsed by Wednesday, but within hours, he agrees to work for him-- to do his bidding, whatever it may be. It's apparent to the reader (although perhaps not to Shadow) that Wednesday has him under his spell. And Wednesday is no ordinary boss-- he's both a con artist and the Norse god Odin, and he's hired Shadow to help him prepare for a war between the old gods and the new ones, most of whom have moved to America. For the next 500 pages, Shadow and Odin traverse the country, gathering the gods on their side, getting themselves into scrapes, and running into Shadow's dead wife. 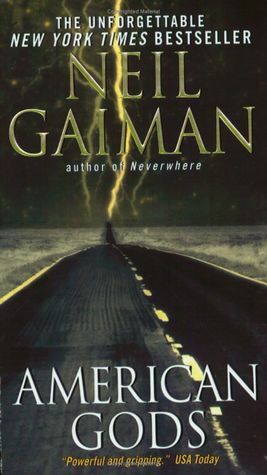 The first 400 pages throw out so many threads of a story that I wasn't sure if Gaiman was going to be able to wrap them up in a satisfying way, but he definitely did. I listened to most of the last seven hours in one furious session, sure to pop the earbuds in my ears whenever the kids were within listening range. The book is one part murder mystery, one part spy thriller, one part romance (although not a great part of the book, since the female lead is rotting), and all parts great writing. It's a dark story that really moves. Tom and Isabel have been living on Janus Rock, an island off Australia's western coast, where Tom is the lighthouse keeper, for half a decade. Their lives consist of watching the light, tending their goats, growing vegetables, visiting the mainland every two or three years, and losing babies. Just days after suffering a stillbirth, her third pregnancy loss over the course of their marriage, Isabel hears a baby crying. She thinks her mind is playing tricks on her, but eventually she and Tom discover a dinghy with a dead man and a living newborn. They have to make a decision-- do they report the death, or do they raise the child as their own? Isabel, awash in grief, can't imagine doing anything but raising the child. Several years later, the family returns to the mainland for a visit home, where they hear about a woman who has fallen into madness after losing her husband and infant daughter. The dates match-- the daughter clearly belongs to the woman. And now what do Tom and Isabel do? What is the right choice for their daughter? For the woman? For them? 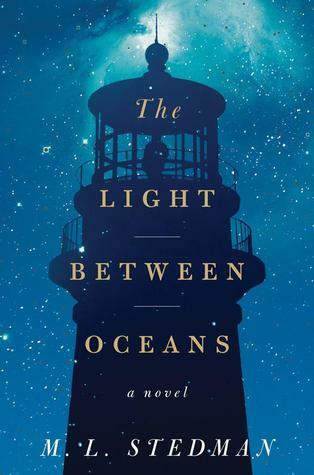 The Light Between Oceans has been well-reviewed, and I think that my frustration at the book is rooted more in my perspective as an adoptive parent. Like Tom and Isabel, I've had the experience of falling in love with a child who is not of my flesh, and also of watching my child have to readjust her entire worldview to adapt to life with different parents. One of my greatest fears is that we could somehow lose her or that she might not come to regard us as her parents. And Stedman shows that although Isabel may have been misguided in her choice, she was motivated by love and blossomed during the period that she was a mother. About 30 pages from the end it became evident that there was no way that there could be a happy ending for everyone in the book, and the last chapter, while nuanced and realistic, felt like a twist in the gut. The first two times I tried to listen to The Cat's Table I gave up in frustration. I had forgotten that Michael Ondaatje is not an author whose work I can listen to while the kids are talking to me or I'm multitasking. This ended up being a book that I great to appreciate only when I was listening to it out running by myself. I think part of this is because Ondaatje narrates the book himself. I've been to one of his readings, and while he has a lovely voice, it's also a little bit quiet and mumbly, and I remember wondering during his reading if he read like that because it forced his readers to really give themselves over to listening. When I did give myself over to listening to The Cat's Table, I finally found the experience rewarding. The bulk of The Cat's Table takes place in 1952 on a journey from Sri Lanka to London. The eleven-year-old protagonist, Michael, his cousin, and several friends are all seated with an assortment of colorful characters at what they call "The Cat's Table," the one furthest, in both physical and psychic distance, from the captain's table on their ship. At first, the book seems to be a collection of spotlights on the characters at the table, interwoven with some travel narration. The boys find themselves in scrapes, the older passengers sleep together, steal, and spy on each other. But eventually, the book seems to turn into a bit of a mystery-- who is the prisoner in chains on the ship? Will he escape? What fallout will result? In the second half Ondaatje turns to the fallout in Michael's life after the journey as well. One of the most unsettling aspects of The Cat's Table is the faux-memoir nature of the book. 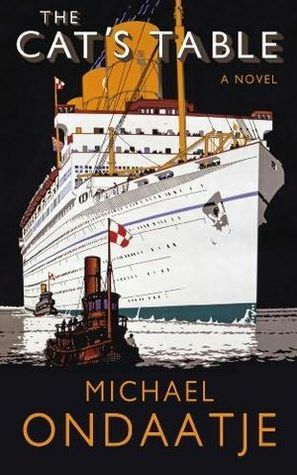 Like Ondaatje, the character was 11 in 1952, like Ondaatje the character moved from Colombo to London by ship, like Ondaatje the character was named Michael and grew up to be a writer living in Canada. But the book calls itself "a novel" and other biographical details do not hold. I'm sure it was some kind of artistic experiment, but as a Wikipedia-fingers kind of girl, it also bugged a little bit. We got new pictures of you this morning. It's been such a blessing to have so many families picking up their babies from Xuzhou in the last few weeks, because we've gotten to see your smiling face three times-- which is enough time for you to recycle your outfit. You look happy and chubby, and oh so stinking cute. And you know what makes today even better? We are DTC! That doesn't mean much to anyone who doesn't know their adoption lingo. So I'll fill you in. There are about a million little milestones in the adoption process, but there are three big milestones-- the day your dossier is sent to China (known as DTC), the day you get your Letter Seeking Confirmation, which is an official approval to adopt (known as LOA), and the day you get your travel approval (known as TA). So now our official application is on its way to China. Within a week or two it should be logged in with the Chinese government, and then the very worst part of the process, the wait for the LOA, begins. The wait is somewhere between 10-150 days, which is what makes it hard. The average wait is about 65 days (it took 63 days with Rose), so I'll start getting antsy around the first of the year. Or, if the wait is like last time, around the first of December. Or, let's get real here, right now. I want you home right now. Seeing your smiling face doesn't make the waiting any easier. There are some books that deserve to be reviewed while they're fresh in the reader's mind, and while I would definitely say that This is How You Lose Her falls into that category, I'm also pleased to discover that more that three weeks after I sent it back to the library, I still remember the individual stories well. It's a book with staying power. Readers who loved Junot Diaz's Pulitzer Prize winning novel The Brief Wondrous Life of Oscar Wao might be surprised, although not disappointed, by his return to short stories. 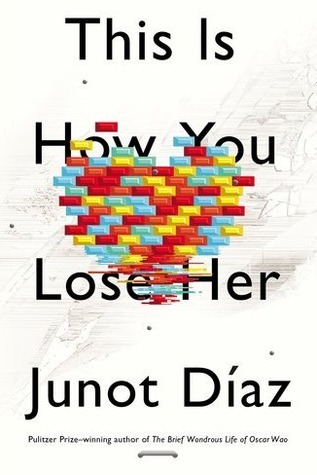 In This is How You Lose Her Diaz writes mainly in the gritty voice of Yunior, who is in some stories a teenager watching how his brother (dying of cancer) treats women, and in others is a man mistreating women himself. 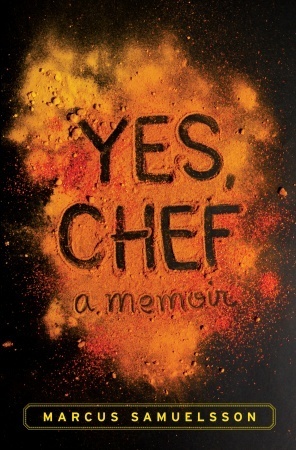 The stories aren't chronological, and there is at least one told from a women's perspective, but there's a richness that comes from reading the entire collection and seeing Yunior's collection of failed relationships all laid out side by side. I also had to resist the urge to see the stories as Yunior = Junot-- the names are similar enough and the choice of professions are identical. I really wanted to get my hands on Wikipedia to see how parallel the stories were. But I resisted the urge. I remember reading Jhumpa Lahiri's Unaccustomed Earth a few years ago and being blown away by how interconnected short stories sometimes presented a better picture of an individual than a novel does. I got the same sense with This is How You Lose Her. What stays with me is Yunior's voice-- a voice that sounds like it hasn't moved beyond the barrio until it slips in a word like prestidigitation, a voice that is at turns, both pained and capable of inflicting great pain. When we decided to adopt and redo the backyard simultaneously, we knew we had to economize. In addition to firing up my library card again, I also decided that I would downgrade my Audible account to the "Gold" plan (one book a month), and listen to everything that I'd never quite gotten around. It's a really bad habit, but Audible has these great $4.95 book sales and these "buy three credits for $20 sales" and I am a sucker for them. 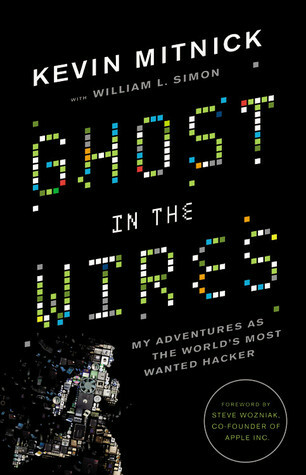 Once I stopped driving to Provo regularly, I stopped listening to as many audiobooks, but I didn't stop buying them at the same rate, so I always listened to the ones I thought I'd like best, while books like Ghost in the Wires sunk to the bottom of the pile. Anyway, I've found some gems while listening to the books in this pile, but Ghost in the Wires was not among them. Honestly, I think a lot of that is because a girl like me has no business spending 14 hours listening to a computer hacker and phone phreaker talk about how he manipulated every system he could get his hands on (just for the fun of it) and then whining about how he ended up in jail when he got caught. It might be a great book for the right kind of reader, because Mitnick's voice is engaging (if a little whiny and self-important-- this is a guy with an agenda, for sure) and his story, once I realized that the whole book would be about how he logged into systems and created back doors and then came back and downloaded secret information (not to do anything bad with it), wasn't all that boring. 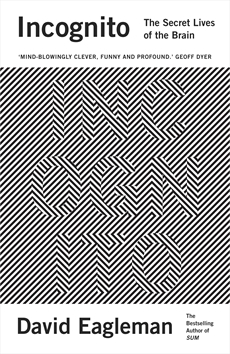 Okay, a little boring. I kept saying I was going to give it up, and I actually started this book last spring, but when I started it again, I kept waiting and waiting for it to get interesting, and then, about 2/3 of the way through, I felt too married to it to quit. We decided to adopt a baby about two weeks before undertaking an enormous landscaping project. Consequently, I've spent the fall economizing almost all other aspects of my life. I told Ed that I'd do my part by giving up my habit of buying books with reckless abandon, and started reserving them at the library instead. Most of the time, it's a great solution (except I miss reading myself to sleep by the light of my iPad), but I will admit that I get a rush of panic when the library alerts me that I have (another) hold waiting for me. You may have noticed that my reading pace has slowed considerably this summer and especially this fall since I started teaching. And when four reserves, four books I know I won't be able to renew, all come in at the same time, it makes me read really fast. Unfortunately, The Dog Stars is the kind of book that isn't mean to be read fast. Oh yes, it's possible to quickly plow through this tale of a man, Hig, who survived an apocalyptic flu and now lives in what used to be Denver with only his dog and a gun-crazed neighbor for company. But that isn't how it's meant to be read. Heller's MFA is in both fiction and poetry, and it shows. His language is poetic, and we really get into Hig's head and feel what he feels as he flies his plane above the ravaged American west, both looking for survivors and afraid of what he'll find. 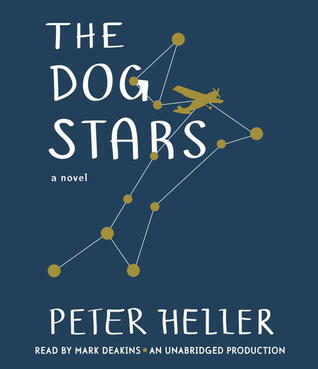 I know, the summary of this book may make it seem like something you don't want to read, but there are no zombies in The Dog Stars, unless you count the survivors, afraid of embracing life. I'm glad I gave up my much-needed nap last Monday to finish it in a quiet house. I'm still thinking about it. We've been overhauling our yard. That is to say, we have been staying inside and watching while other people have come in to overhaul our yard. It's been a big project-- we bought the house to the east of ours last winter, but there were renters living in it, so we had to wait to do anything to it until they left at the beginning of September. Then we had to spend a certain amount of money on the house so we didn't lose our rent money to taxes. So we decided to landscape the back yard, which involved pulling out more than a dozen trees and more than a hundred big boulders, tearing out a wall and a fireplace, building a new wall, moving a swing set and the chicken coop, installing several truckloads of sod, and spending way, way, way too much money on the pool. We haven't even started the shed/fence/garage part of the project, but suffice it to say that we are in no danger of losing the rent to taxes any more. Okay, that whole paragraph had absolutely nothing to do with Rob Lowe. Here it comes. Last week I looked out at the yard and my heart sunk. Yeah, we had new sod and our swing set looked great in its new box, but everything was so junky. There were tons of soda cans lying all over the place, and every time the kids came into the house they tracked mud everywhere. It was time for an intervention. So Rob Lowe and I went outside. I filled our whole trash can with trash. I swept and swept until the concrete looked great. I even swept down the steps of the house next door so I could keep listening. I've always thought Rob Lowe was a handsome guy, and even a smart guy. I was a huge fan of The West Wing back in the day, so he will always be Sam Shepherd to me. But he's also a great writer, and a man who has had ten lifetimes of experiences. As an avid People reader, I will admit to enjoying hearing all of the behind the scenes stories that Lowe lived, but I also feel like the book presents him as a grounded, deliberate person, a person who faced his demons early on in life and learned to rise above them. It's both a good read and a really fun read. The fourth Eli post-- originally written September 4th. I said we would wait to set up your bedroom. You won't be here for months and months, and I'm still struggling with how much of my heart I can afford to send to China right now. But you have big brothers and big sisters. And I'll tell you this right now-- they are loud. Your brothers kick and wrestle and yell and play video games at high volumes. And your sisters laugh and shriek and call for me when they know I'm two floors away. And there are two empty bedrooms in the basement, or at least empty 95% of the time, when we don't have visitors. So, the short story is, you're getting a bedroom. A bedroom you won't be here to sleep in for a good long while. We're moving up the recliner that I bought and loaded into the minivan when I was four months pregnant with Maren, and then I sat in it each night and did my best to think about her and relax. We're taking out the beds and shuttling them downstairs, where your brothers can kick and jump and wrestle to their hearts' content. And we're moving in the crib from the girls' room, since Rosie doesn't sleep in it anyway. One of those fortuitous things that happens sometimes happened to me last week. All of your older brothers and sisters have these big, soft blankets that they got when they were babies. I got the first two as gifts, and then ordered the others from the company, Boogie Baby. They're expensive, but in our family, they're also a tradition. Last week, I popped onto their website to check out the current designs. I clicked on the "overstocks" link, where they put all of the blankets that were made in error or returned. There were a dozen or so, and one of them said "Elias." Not only that, but it was predominantly in the same browns and caramels that Mimi used when she painted the walls of your safari bedroom. So I ordered it, and now that it's here, it needs to be displayed. I need to be able to snuggle up with it and think of you all the way over there in China, even though it makes me mist up a little bit every time I think about it. Steeling myself, preparing to jump in. And readjusting my eyes until I see myself, reflected. I grabbed Eddie’s hand and plunged in. Surprised by the chest-numbing shock as I hit the water. Until I knew I was ready. Planned, begged, mapped out my route. Is a bit of a surprise. My very own, favorite spot. And heading for the lake. Last year, I found myself on the dock again, with Rose on the way. And I was elated-- I felt like I'd been given another chance at doing my very favorite thing in the entire world. I jumped into that water with both feet, and found myself with water up my nose and in my ears. I finally got to the short, coughing and spluttering, but yes, oh yes, it was worth it. The sweetest dive I never thought I'd have. But this time, I still remember how cold and dark and scary that water was before I came back up to the surface. I still remember all of those days of waiting for Rose, all of the time when I thought I was going insane, willing the phone to ring. I know that as soon as I fully let you in, when I put on my swimsuit and stand on the dock, I'm going to have to plunge in. And as much as I love the dive, love coming back up to the surface, this time I know enough about it that the whole idea scares me. But when Rose wakes up from her nap, we're going to try to fit in a grocery store run, and if we do, I have cork tiles for the kitchen wall on my list. We're going to start the Eli shrine. I sound reluctant, I know I do. But I also have six or nine months to adjust to the idea. Actually, I think the six or nine months is the hard part-- you, my sweet little Eli, you are the reward that is worth waiting for. No matter how hard the dive or cold the water. A few weeks ago, Ed and I decided to move my boys down to a bedroom in the basement. It was a big job that required multiple IKEA visits, innumerable trips up and down the stairs, and several recharges of our drill. My friend Blue was kind enough to give up all of one day to help me put together beds, which was a lifesaver. But even when she wasn't there, I enjoyed my time in the basement, screwing furniture together, because I had Broken Harbor to keep me company. 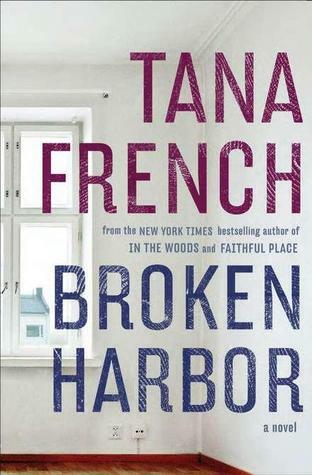 I believe that Broken Harbor is French's fourth novel, and I keep waiting for her to write one that doesn't resonate with me. It hasn't happened so far. In Broken Harbor, Scorcher Kennedy is a detective who has always followed the rules. His past has taught him that messing up, stepping into the gray area, just isn't an option for him. When he and his new partner are called to a murder case in Brian's Town, an hour from Dublin, Kennedy immediately remembers the place as Broken Harbor, where he summered with his family as a child. Now it's a rundown housing development, a casualty of the downtrodden economy. And it's just about the grayest place in all of Ireland. Kennedy finds a husband and two children dead, and a wife at death's door. And he's forced to confront his own demons as he tries to unravel what really happened in this house where life, to all outside observers, appeared to be picture perfect. This book came highly recommended. So highly recommended that after letting it fall into the part of my nightstand pile that I never quite manage to get to, I plucked it out and forced myself to read. Last year at this time, all I wanted to read was books about China. Now that we're preparing to bring another kid home, reading books about China feels more like eating my vegetables. That's probably because I read so many adorable, fun memoirs last year, which leaves me to read things like histories, which are important and necessary reading, but I don't necessarily enjoy them. 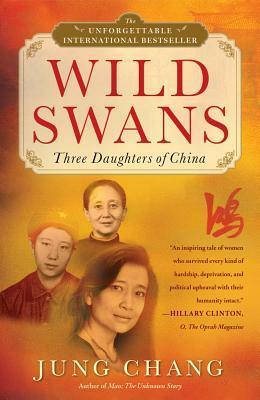 Wild Swans tells the story of Jung Chang, born in the early 1950s in China to parents who were provincial leaders in the Communist Party, as well as her mother and grandmother. 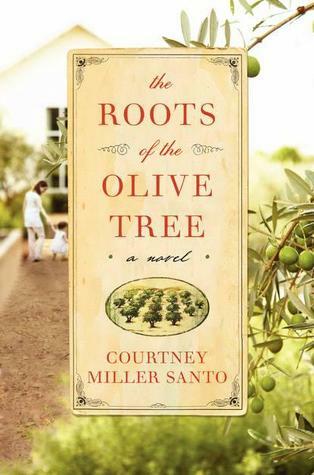 The story itself is remarkable-- the women in this family experienced everything from foot binding and concubinage, to Civil War, World War, the Great Leap Forward, famine, imprisonment, work camps, and finally, moving to the west for higher education. The family's story is really worth hearing, because it humanizes the big events of the 20th century and makes them painfully real. 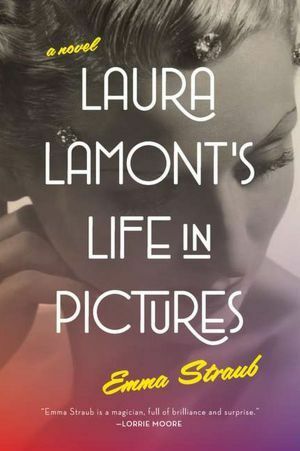 However, the narrative style made the book difficult to read. The author constantly refers to her mother as "my mother" instead of by name, which made it hard to keep track of who was who. I also found myself skimming toward the end, possibly because I had reached a saturation point with the events of the story. But it's still an important story to read and one that definitely broadened my understanding of Chinese history. This is the second Eli post, originally published on August 22nd. I don't know what his mother called him when he was growing in her belly, but undoubtedly she called him something. Whether he was her "peanut" or her "little guy" or she called him what she planned to name him, he was called something. And then he was born with a special need that was beyond his family's ability to provide for. That first name is lost to us forever, just like that first mama. In the orphanage they named him Han Leman. All of the kids who found their way to Xuzhou SWI in 2011 are Hans, including Rose. All of the boys have "Le" as the first part of their first name. But the kids there, if they're called anything at all, go by nicknames. Then his paperwork got sent to our agency. At most adoption agencies, they assign kids a name, because apparently the kids who have names, even if they're just dummy names, get adopted more quickly. In the week we were waiting to decide if he would be ours, our agency named him "Louis" for advocacy purposes. And then there was Hugo, the nickname we gave him. I guess we could have named him Hugo. Actually, I probably would have been fine naming him Hugo, but Ed said we needed to find something else. The day we sent in our LOI, I sat down at the computer with the Social Security list of baby names from 2011. I wrote down every name I liked, and packed it in the bag I was carrying on our trip. As we zipped through the farm towns of Eastern Idaho on our way to Yellowstone, I pulled it out. Five minutes later, we had a name. Maybe I should say that thirteen years later, we had a name. When I was pregnant with Bryce, we narrowed down our list to three names. We used the first one with our first son, another with our second, and now we're using the third. So the baby whose first name was lost, who then became Han Leman, Louis, and Hugo, will soon be known as Elias Leman Miner. We'll call him Eli. When I was in my MFA program, lots of people did the Chuck Klosterman footnoting thing. I believe that Chuck Klosterman said he ripped it off of David Foster Wallace, who undoubtedly ripped it off of someone else. Regardless of its origins, it's sort of a popular thing these days to write a footnoted essay, or in John Green's case, a footnoted novel. 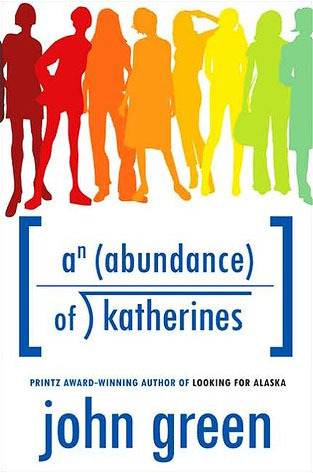 In An Abundance of Katherines, Colin Singleton, a former child prodigy on the brink of going to college, takes it hard when his girlfriend, Katherine IXX, dumps him. So Colin and his friend Hasan get the heck of out Dodge (Chicago) and head south, where they end up in Rural Tennessee. Adventure, hilarity, and coming of age ensues. If John Green's name weren't on the title of this novel, I probably would not have picked it up, and that would have been fine. His novel The Fault in Our Stars was so good that I set a goal of reading his other novels, and this one is probably my least favorite. Just like I hated the gimmicky footnotes after about ten minutes in graduate school (despite my love of the parenthesis), it quickly wore me down here too. And when Green started adding math to the footnotes? I was a goner. But it's more than just that-- his other books had characters I cared about, plots that threw me for a loop, and in this one, it was mostly about teenagers just hanging out and getting over breakups. There's a place for that kind of writing, but now that I'm approaching my late 30s, probably not a place for me to be reading it.